Brooke Astor was a writer, and socialite who lived a long life that’s one for the books. Brooke herself was well-aware of how interesting her life was that she wrote two memoirs. After her third husband, Vincent Astor, died, she was left in charge of the Astor Foundation, and she rose to prominence even more as a philanthropist. The biggest and worst publicity Brooke had unfortunately happened during the last few years of her life. Brooke's son, Tony Marshall was exposed for committing elderly abuse. Brooke Astor suffered from Alzheimer's Disease and other age-related ailments, and to aggravate Brooke's life conditions, her son Tony was embezzling funds from Brooke's estate and was neglecting Brooke's wellness. Brooke’s grandson, Philip Marshall happened to be the one to expose Tony Marshall, his father, for elderly abuse. Since his grandmother's controversial case, Philip made it his advocacy to do whatever it takes to raise awareness, educate and influence legislation about elderly abuse and social justice. 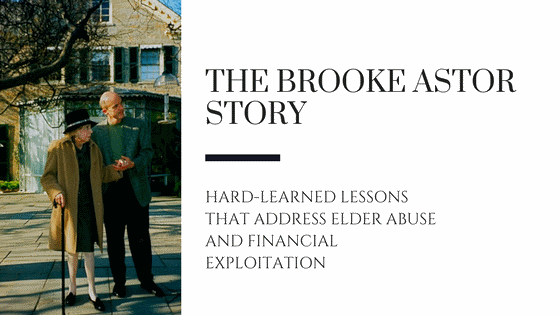 He founded Beyond Brooke and is today's esteemed resource speaker on the subject of elderly abuse. The concept of Upstandership as an ethic, practice, and state where people who are not necessarily victims take action against abuse. How these eight steps come full circle once the public is made aware and educated about the consequences of the abuse. How complacency equates to being complicit. 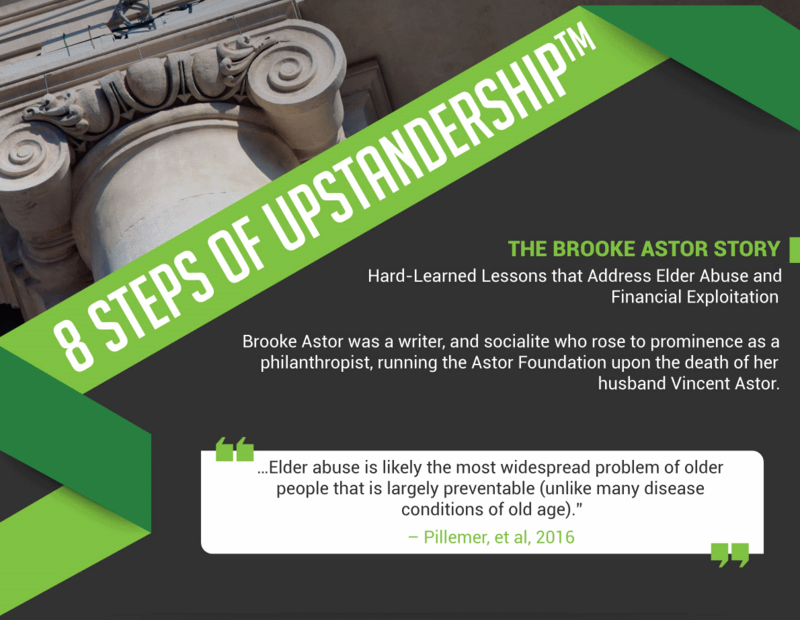 Case study of the Brooke Astor Story where an affluent and influential personality became a victim of elderly abuse from her own son. A chronological breakdown of the events and evidence presented that led to the indictment of Brooke Astor's son, Tony Marshall, and his attorney. The behavior of elderly abuse suspects, and warning signs that an elder or vulnerable adult is undergoing abuse or exploitation. Risk factors and characteristics expected and observed from the victims and abusers. The importance of prevention, and how this can be done through a circle of support or elder ecology comprised of friends, family, community, and professionals for the elder. The often-debated issue of capacity in elderly abuse. Various agencies and resources that laid the foundation for legal and moral obligations regarding capacity. 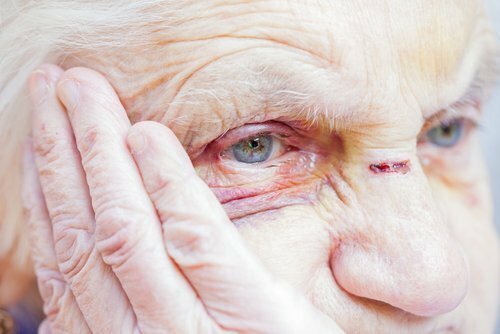 Cognitive impairment as an aggravating circumstance in elderly abuse. The different forms of elderly abuse, how each of these occurs, and which of these were committed in the Brooke Astor case. Quick poll questions provided insights on the attendees knowledge and familiarity to elderly abuse cases. The roles of Adult Protective Services (APS). Dealing with questionable cognitive impairment in cases. What the legal community is doing to aid and monitor fiduciaries and elder abuse cases. Things Philip would’ve done differently knowing the things he does know now. The importance of human interaction to seniors so they become less susceptible to fraudsters and scammers. Dealing with victims who are reluctant to cooperate with Adult Protective Services (APS).